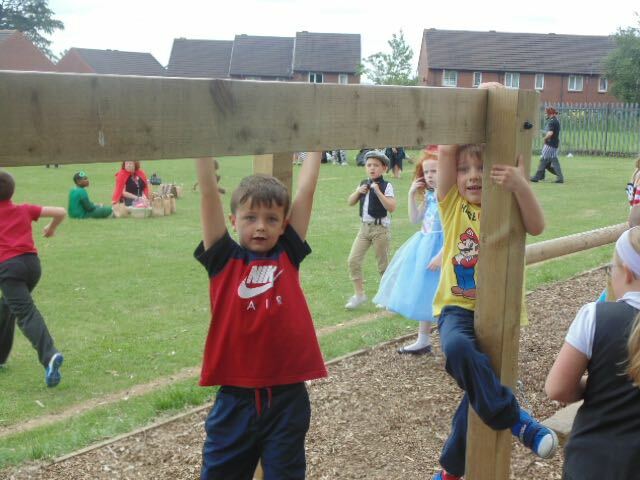 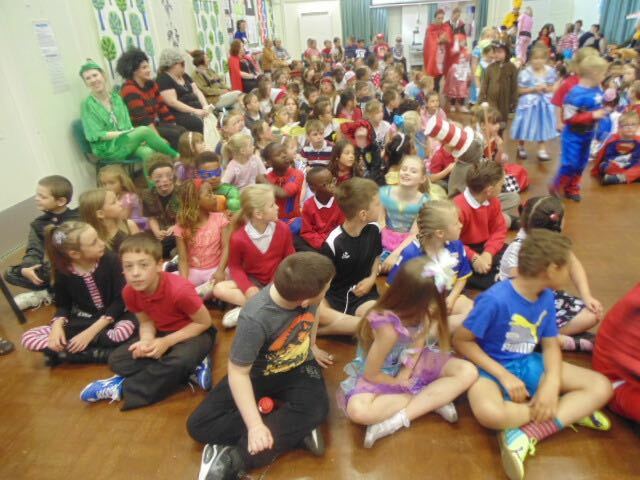 Wow… what an amazing day we have had! 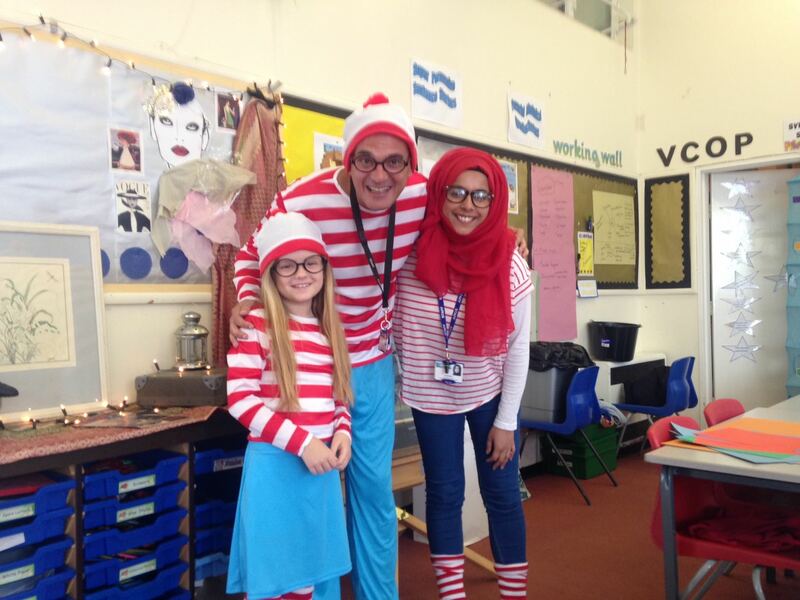 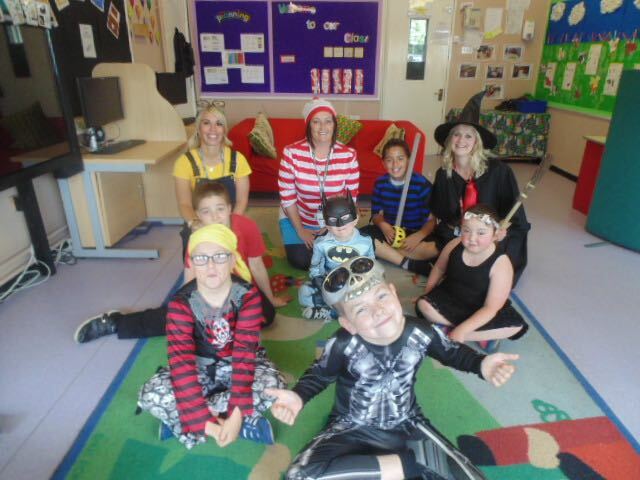 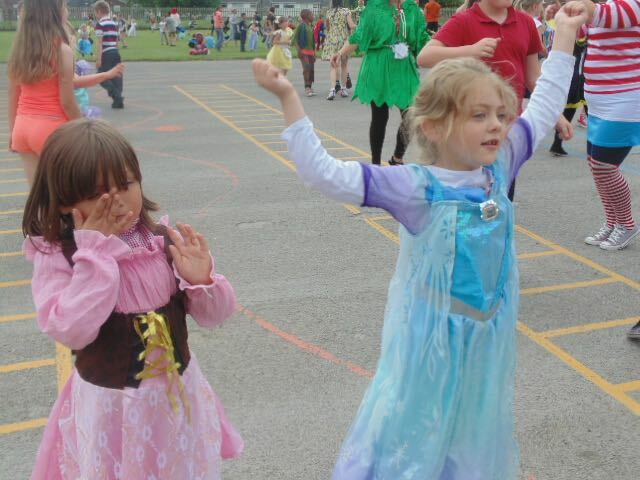 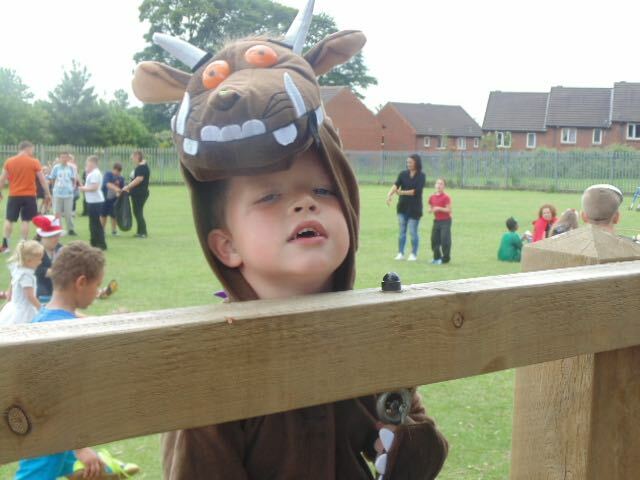 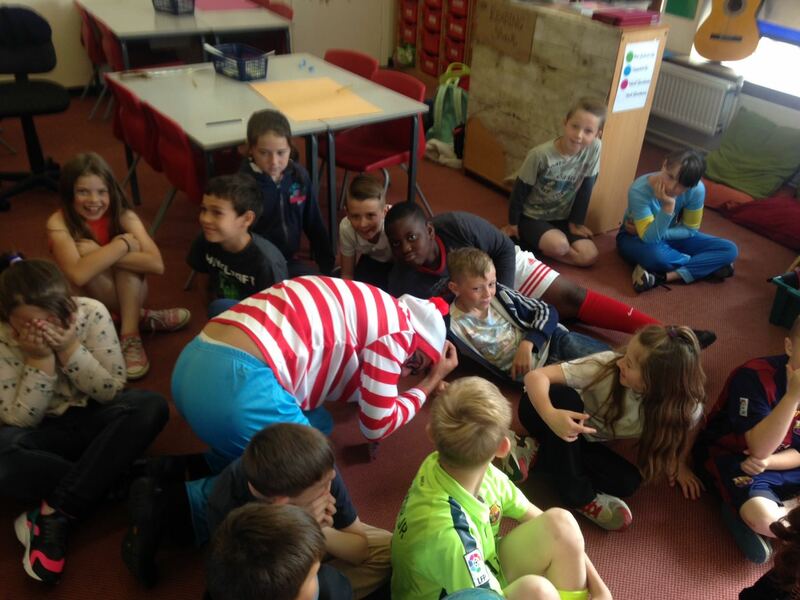 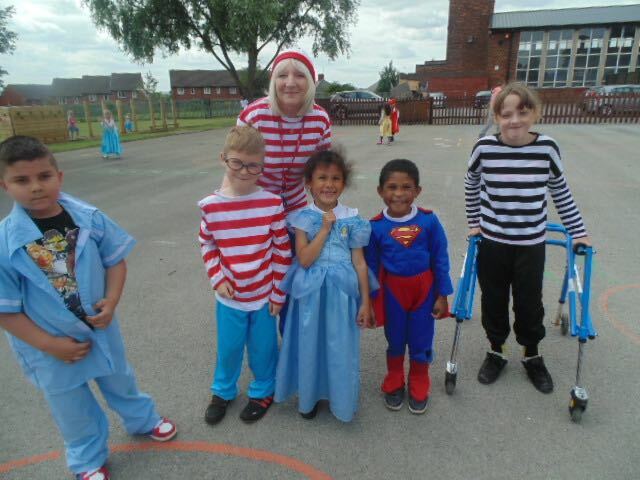 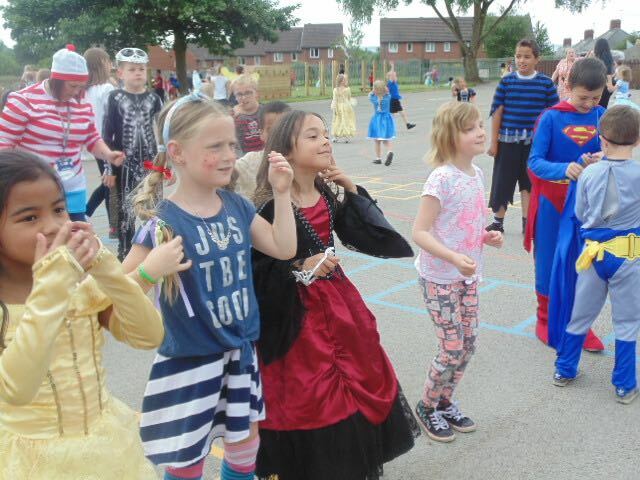 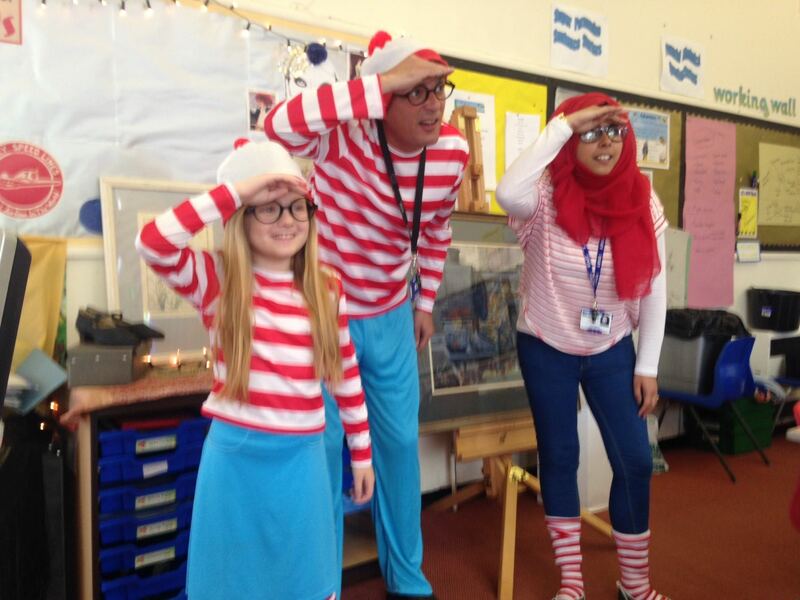 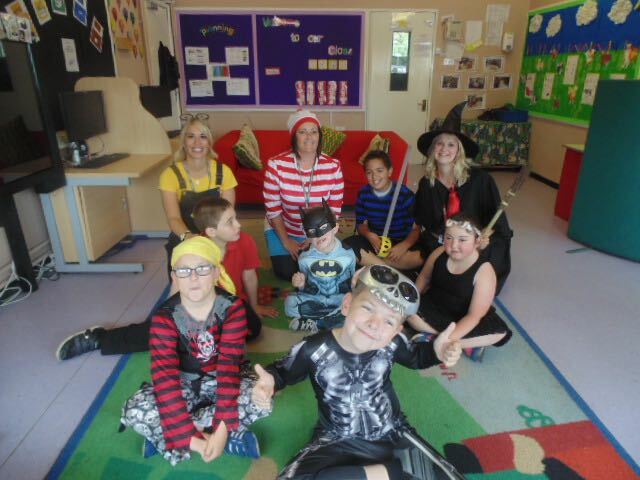 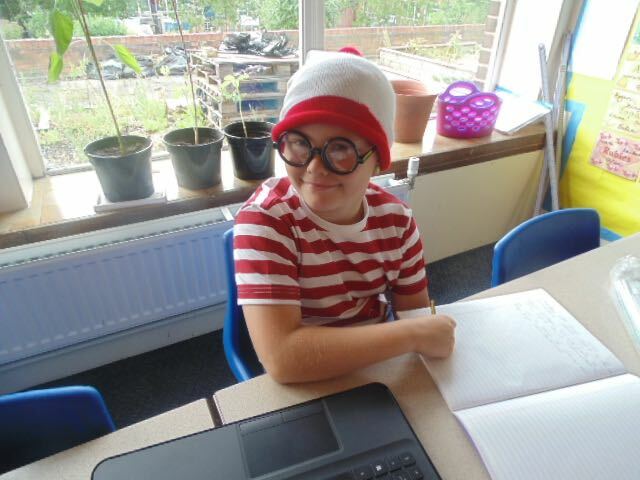 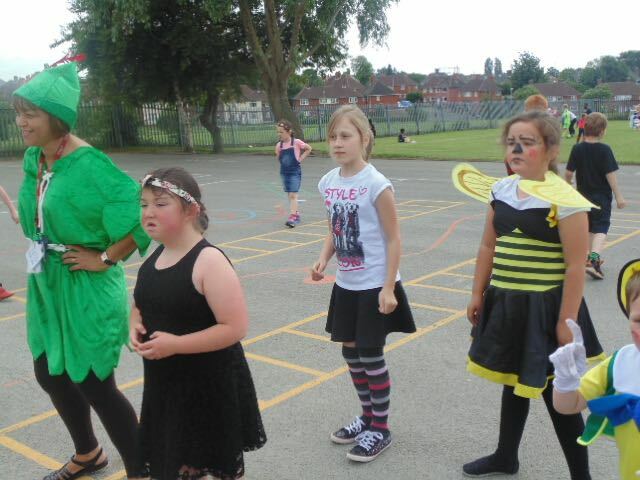 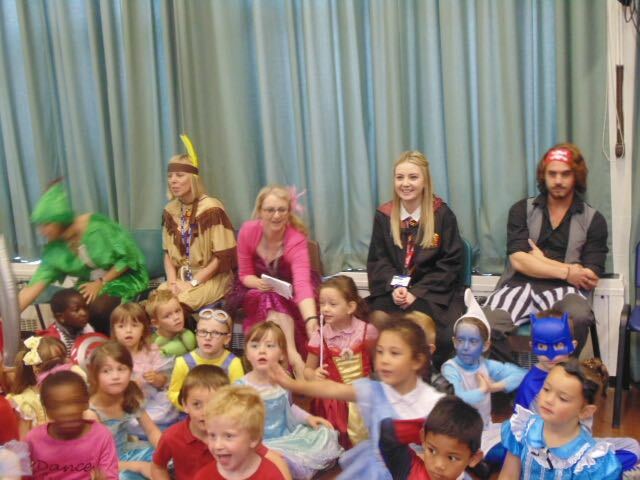 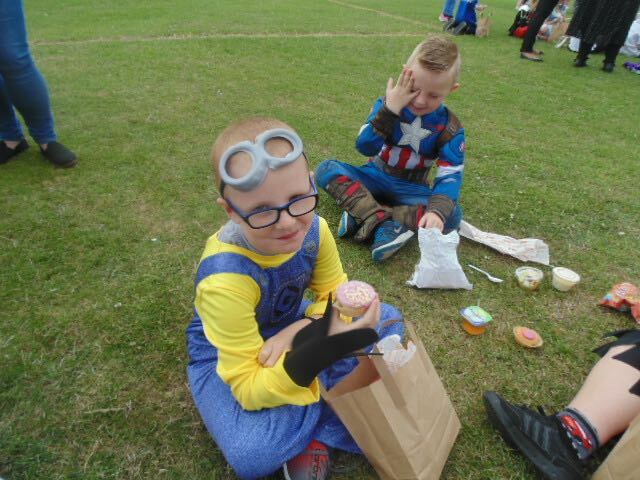 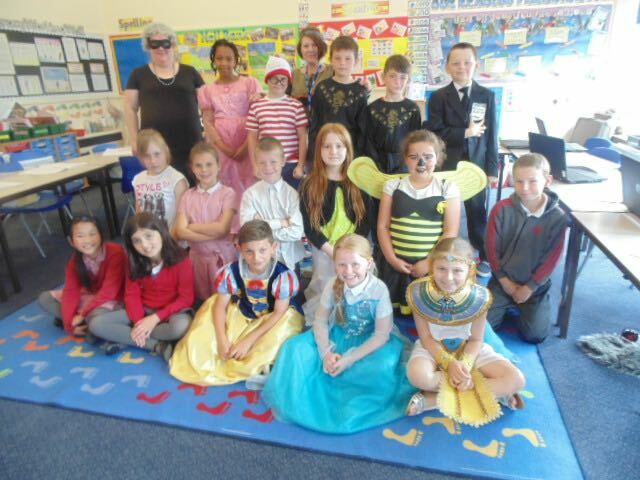 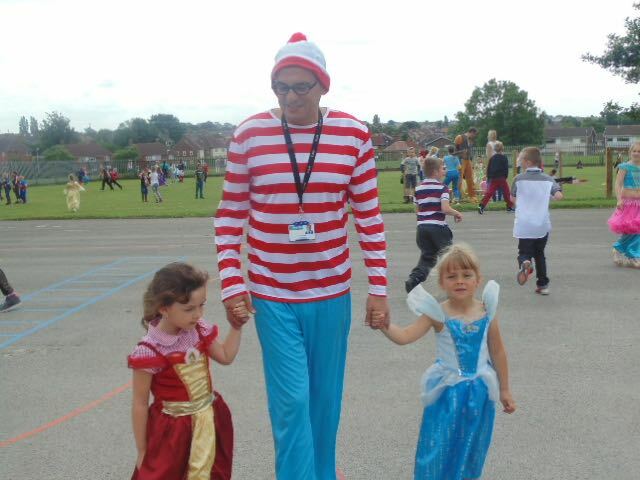 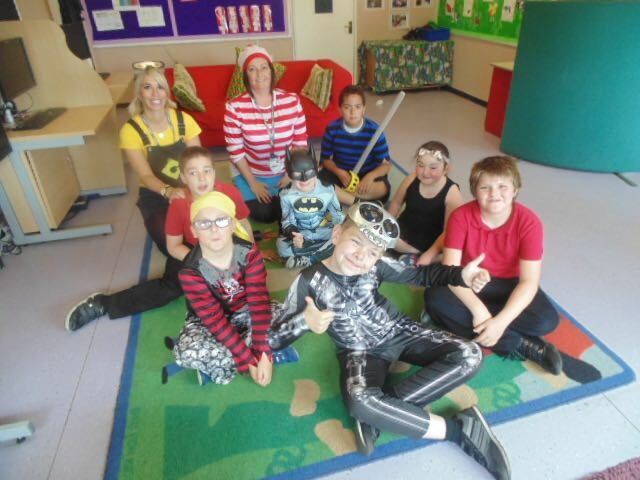 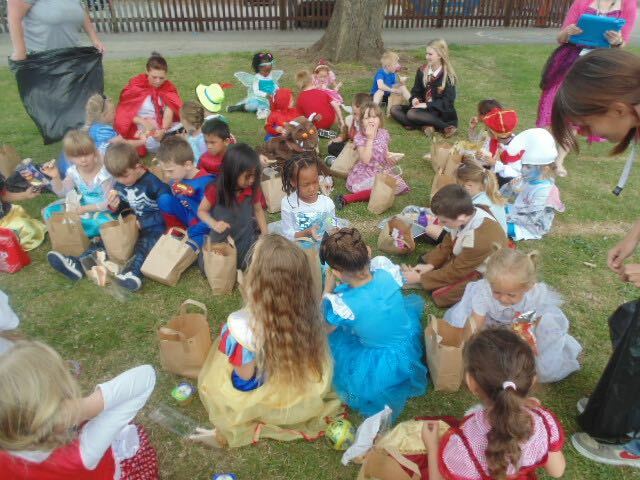 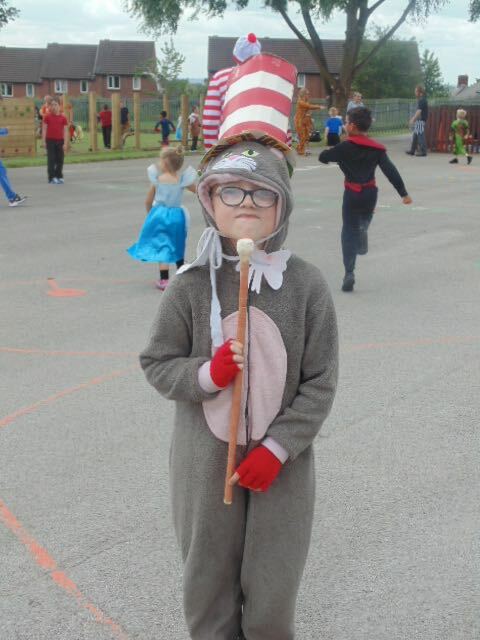 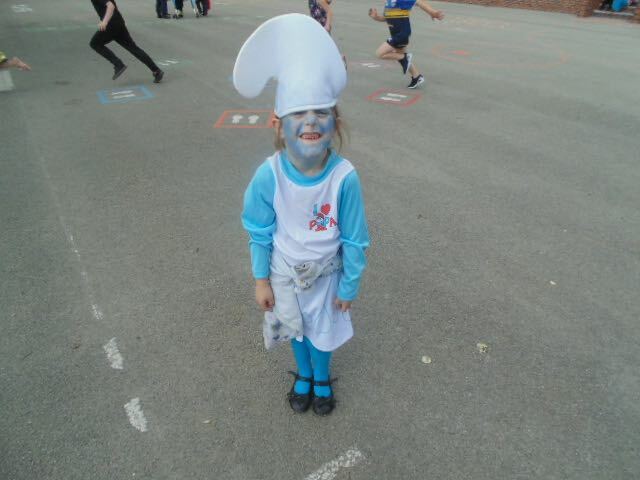 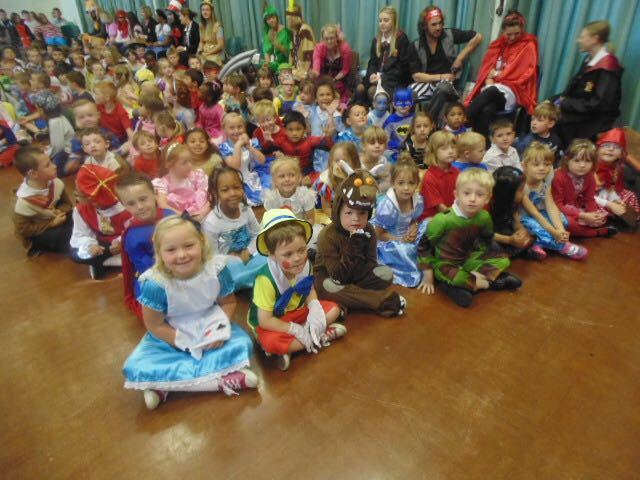 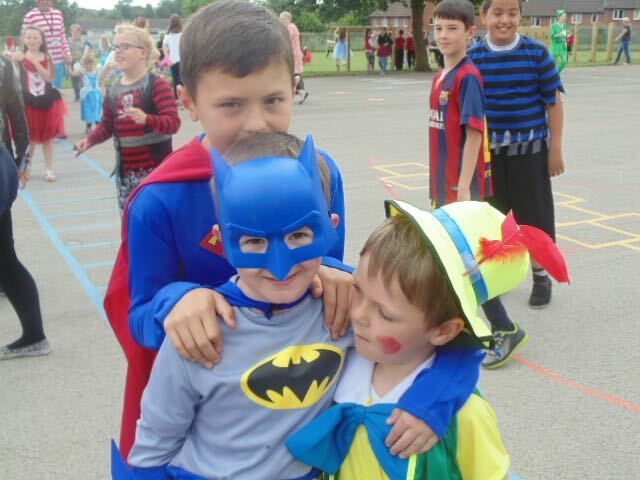 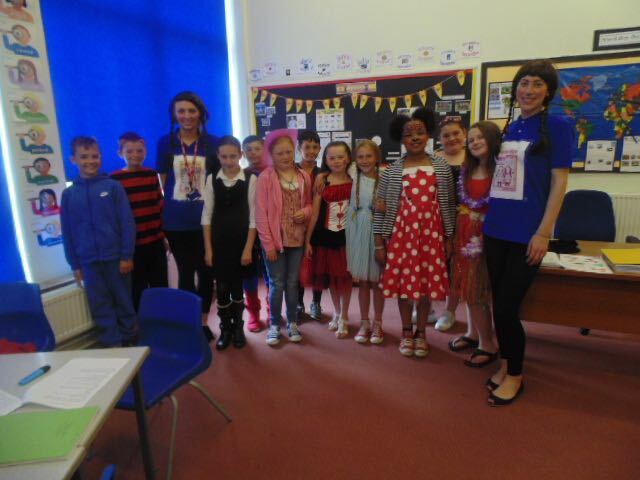 Every single child has made such a big effort to come to school dressed as their favourite book character. 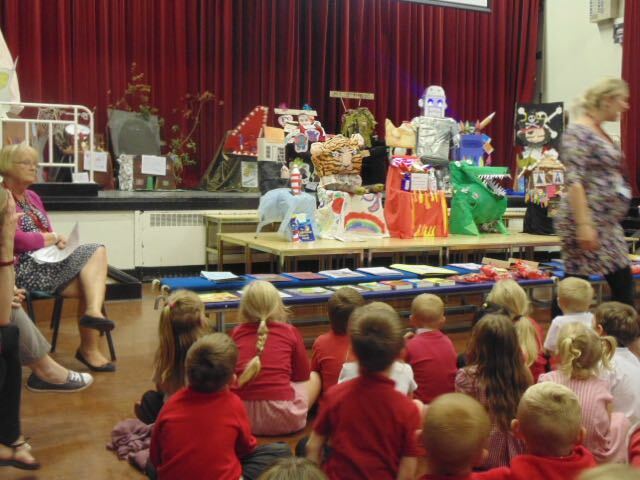 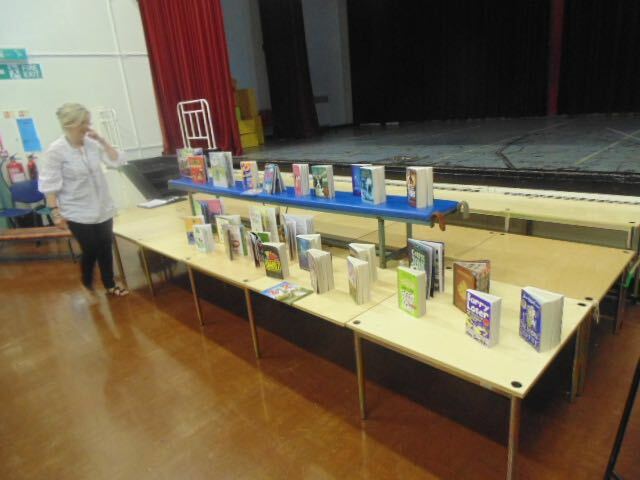 We started the day with an assembly from Jo Richards who talked to us about all of the fantastic books on offer at the travelling book fair. 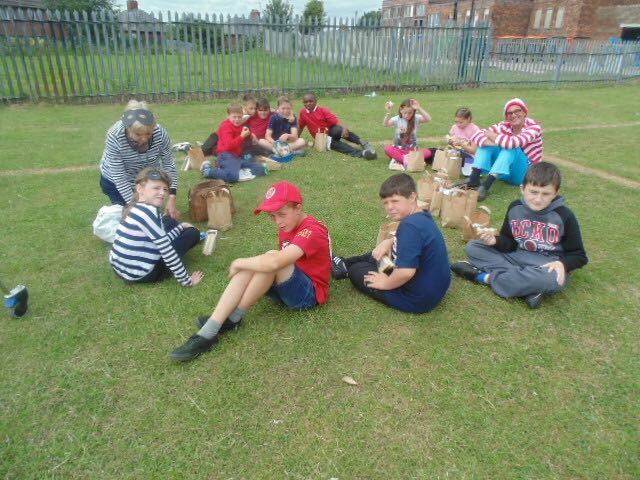 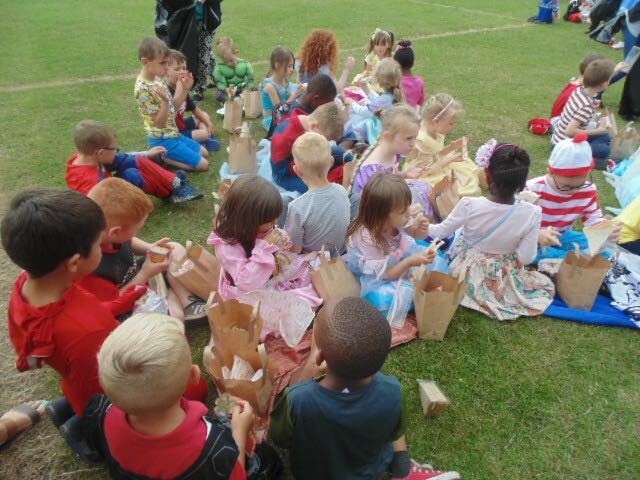 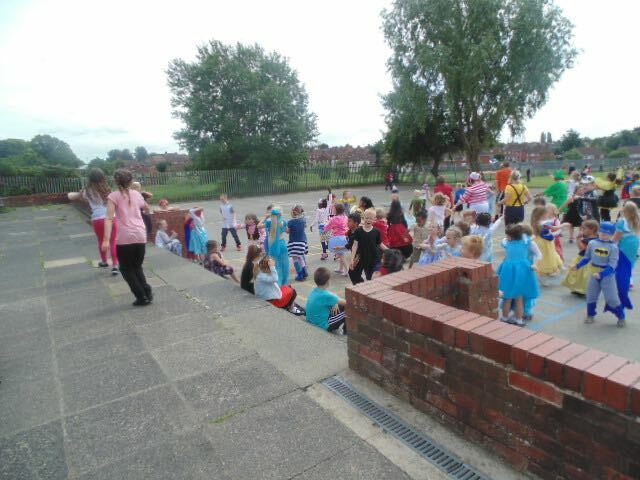 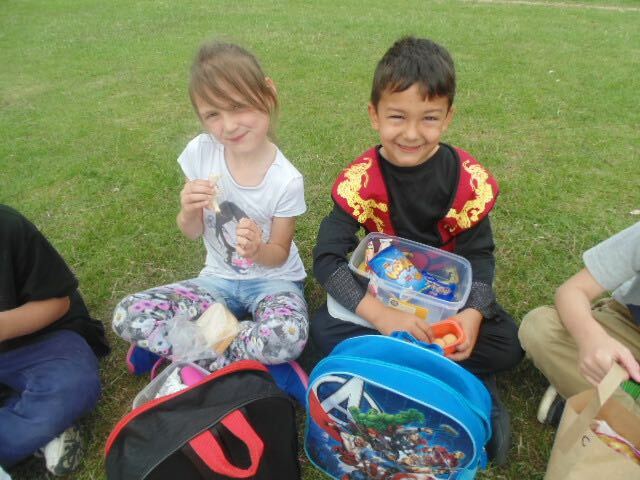 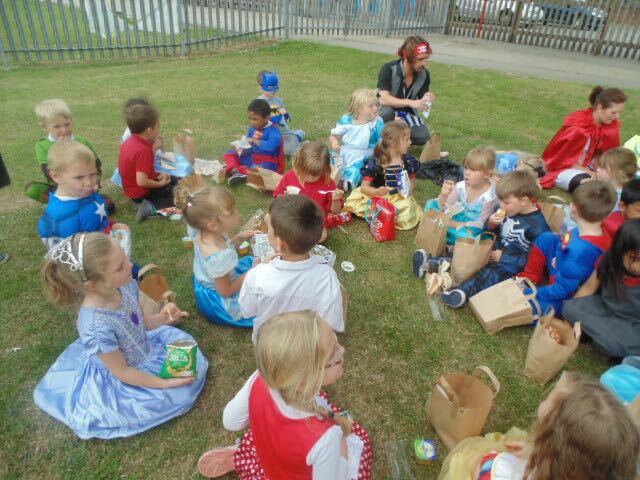 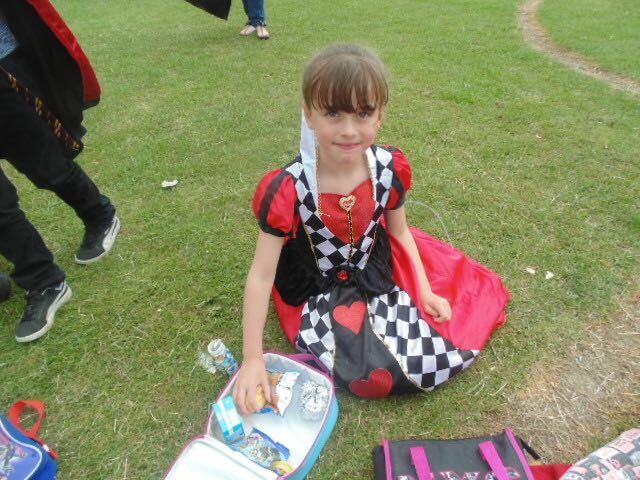 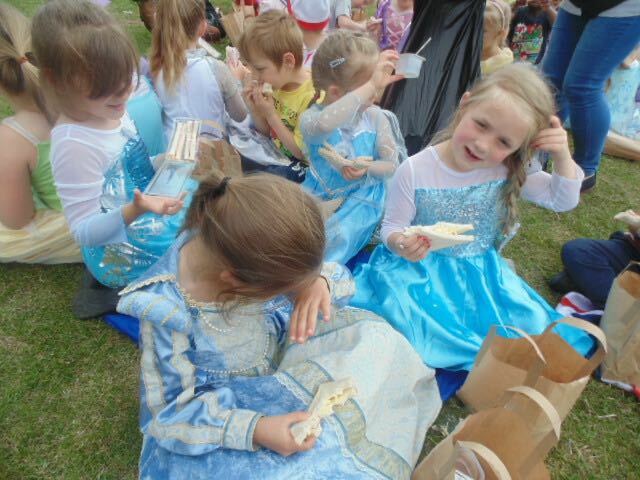 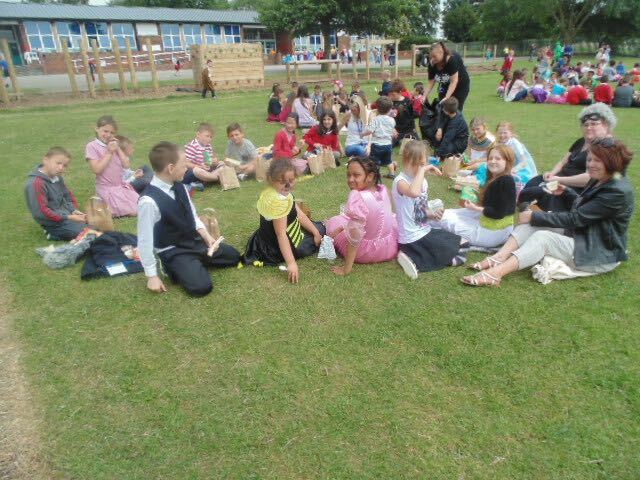 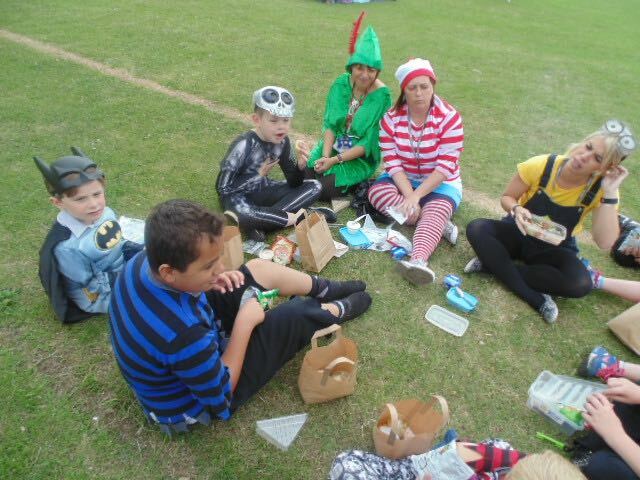 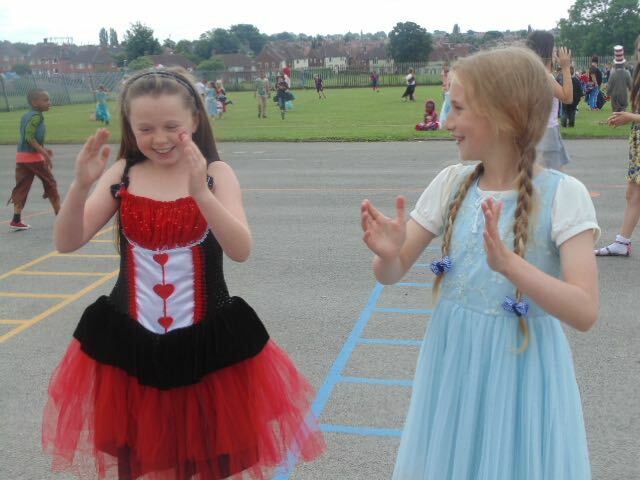 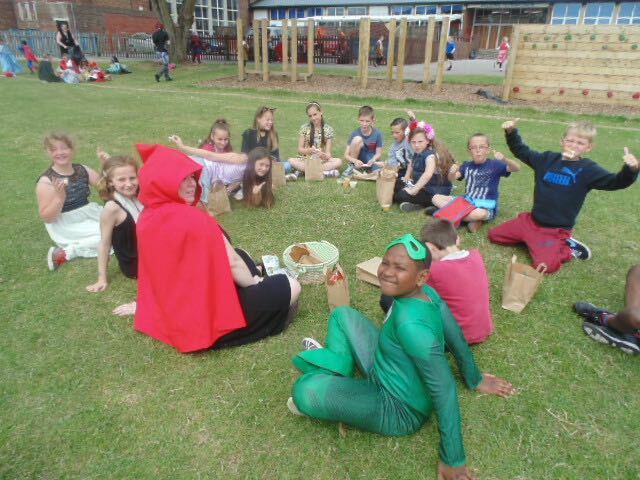 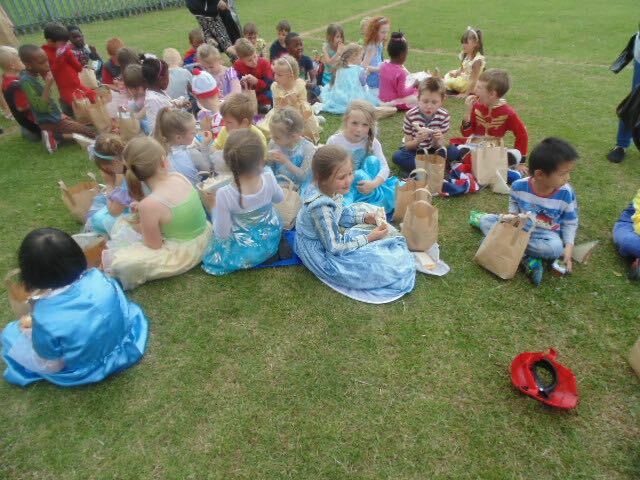 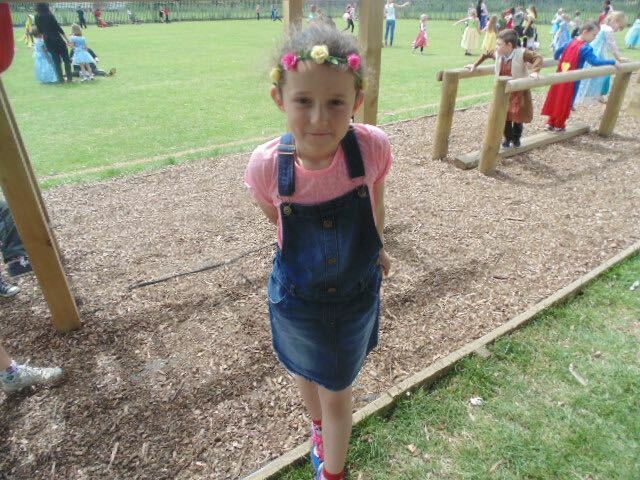 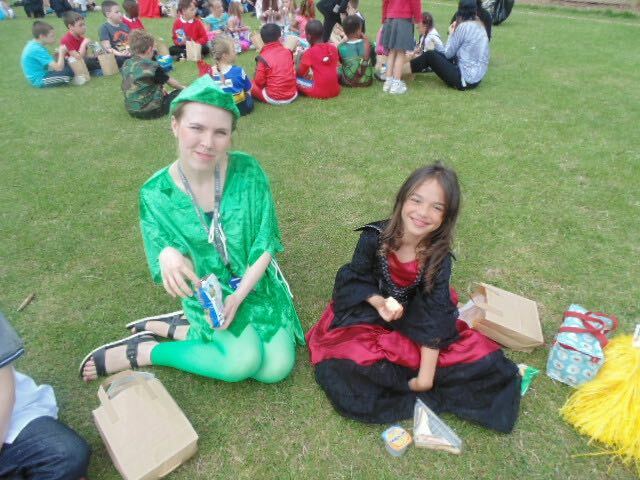 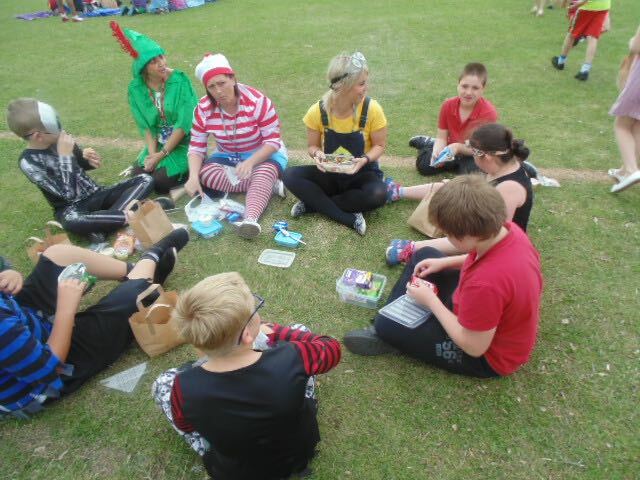 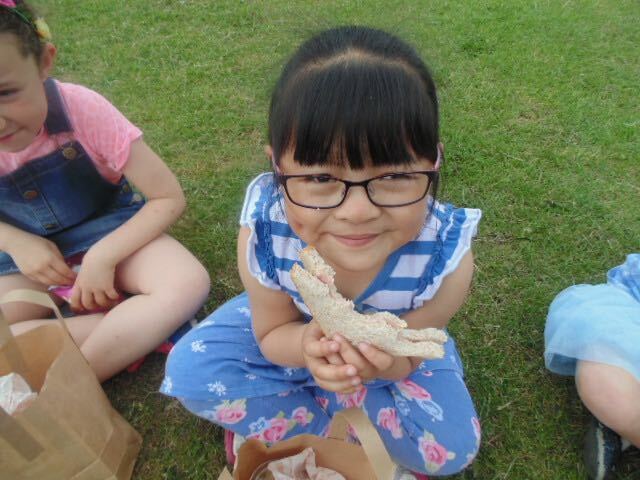 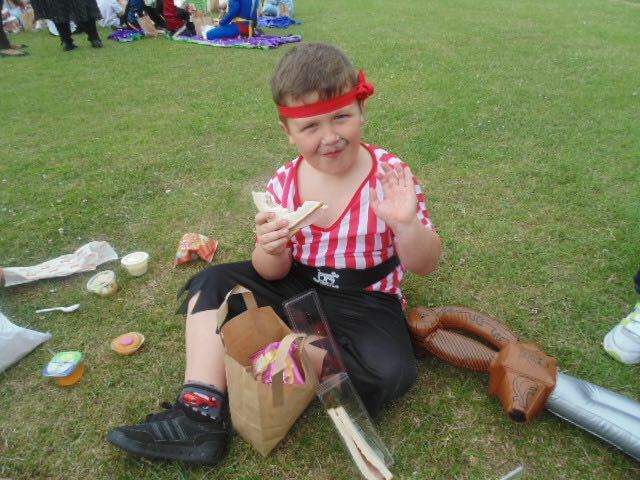 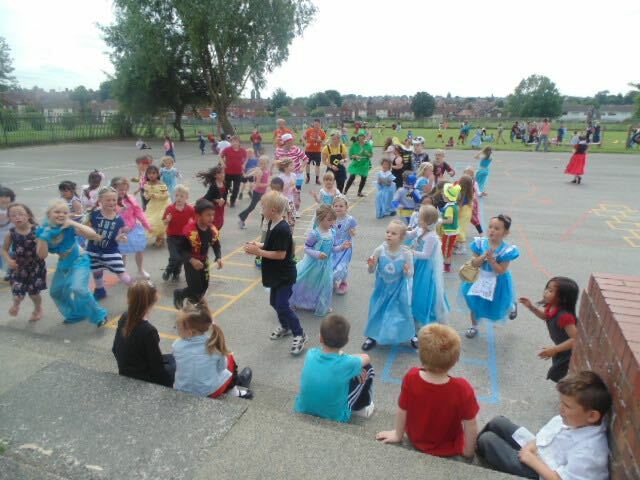 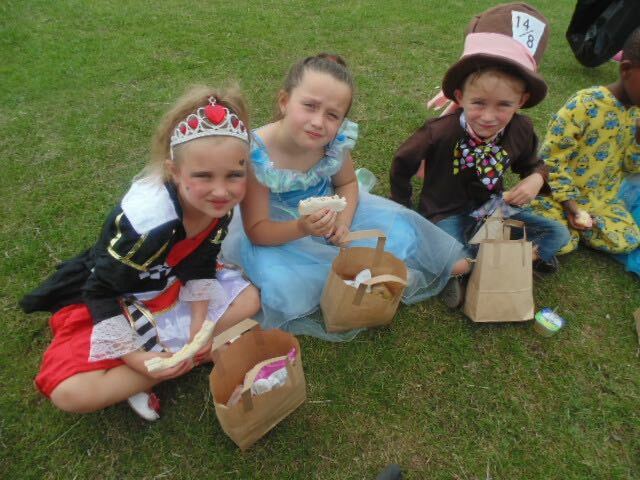 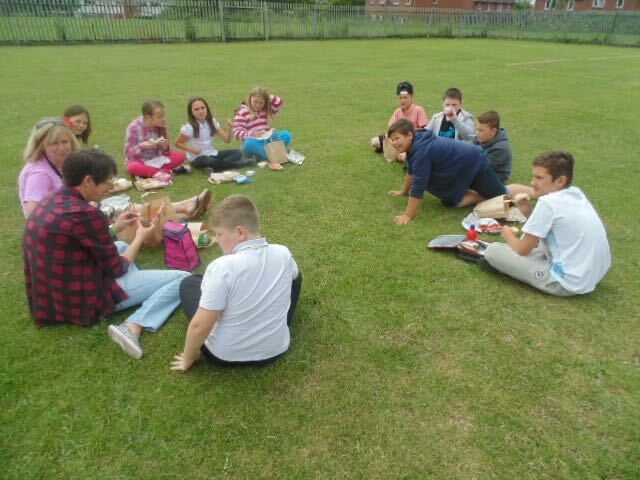 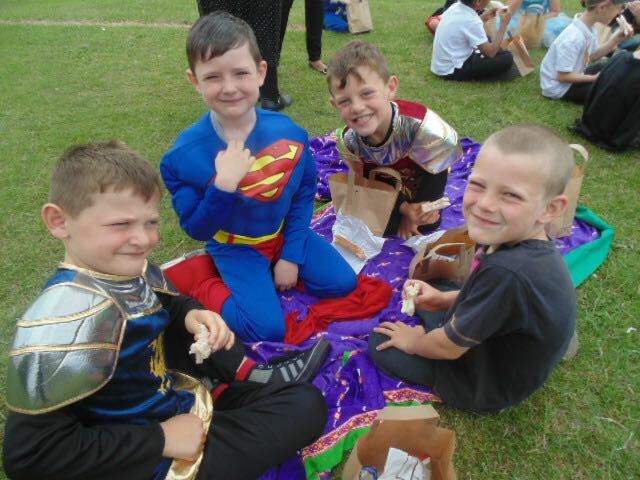 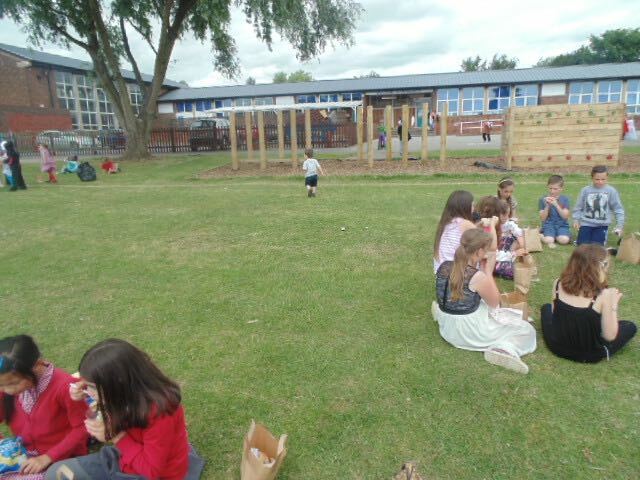 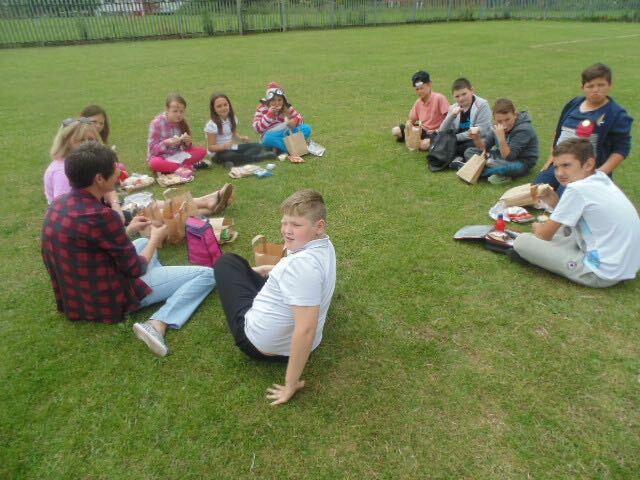 Then we had a giant picnic where the whole school shared their lunch on the field before dancing to music! 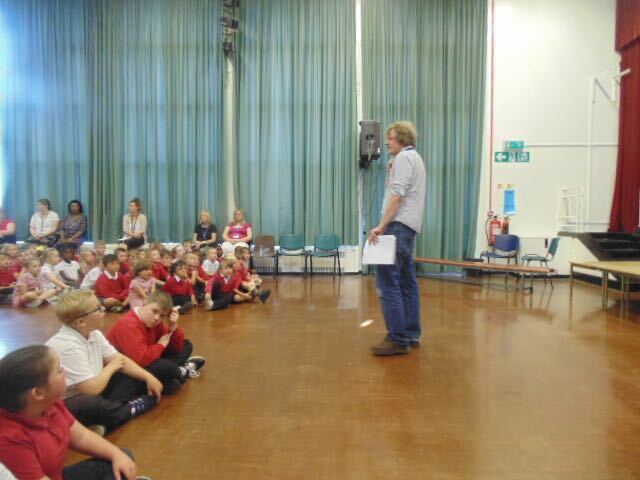 Thank you to Stu who came to visit us this morning from Seacroft Library to talk to us about the Summer Library Challenge. 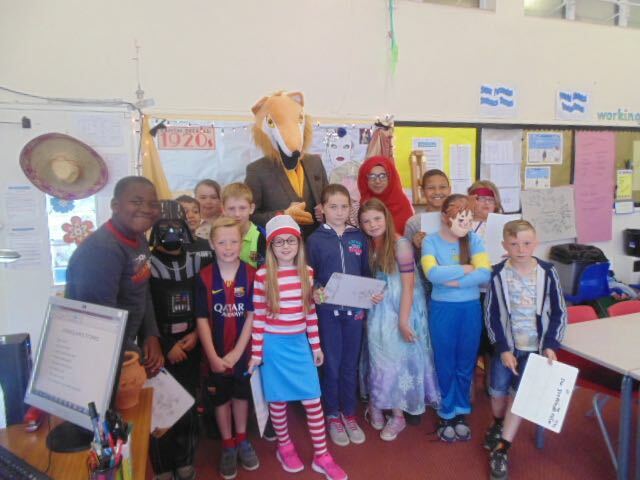 So, just a reminder… the challenge is to read six books over the summer holidays, every child who does this will receive a certificate and a gold badge! 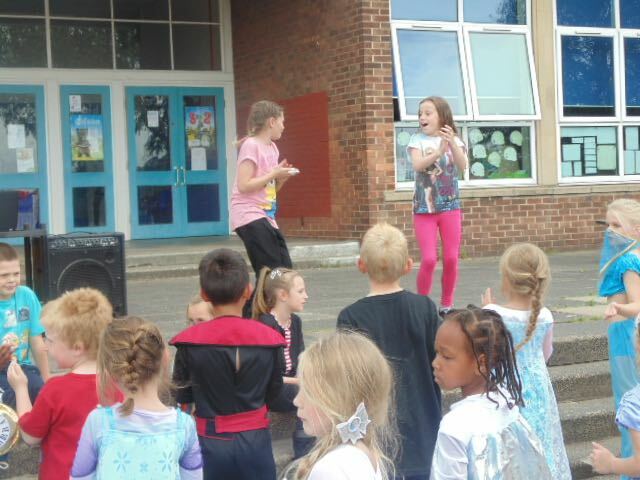 We would like to see as many gold badges in September as possible! 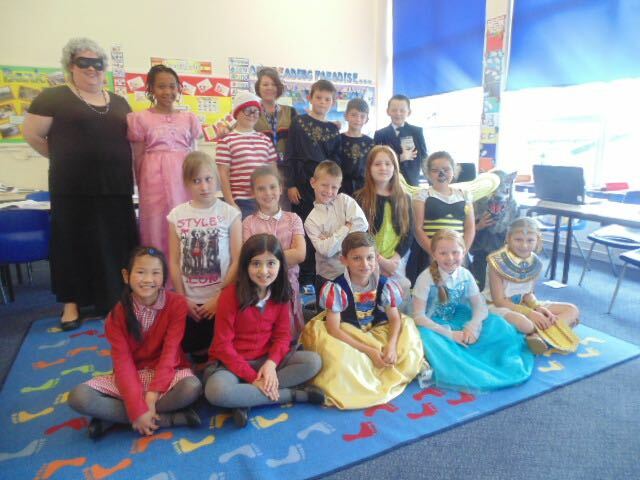 It doesn’t just have to be at Seacroft library, it can be any library in Leeds and don’t forget it is all totally free of charge! 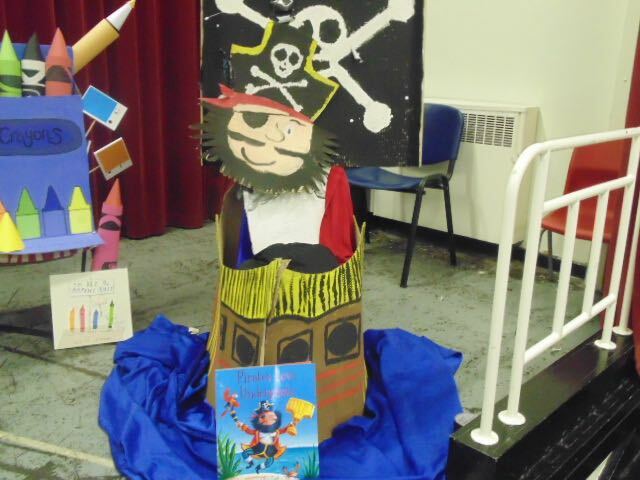 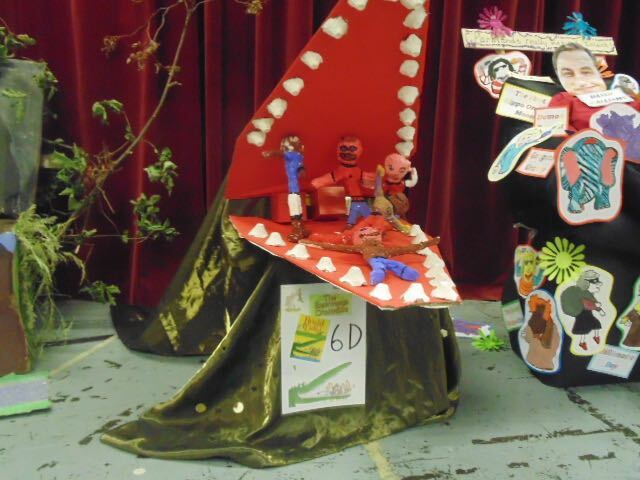 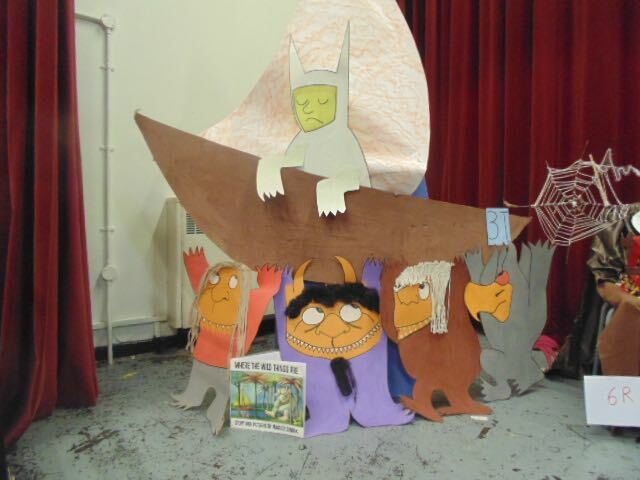 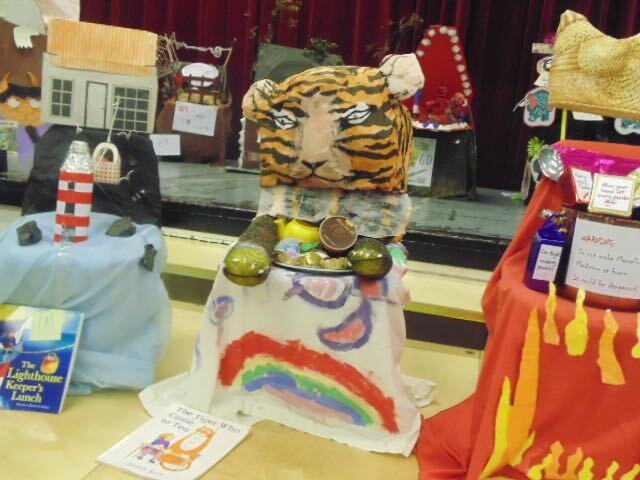 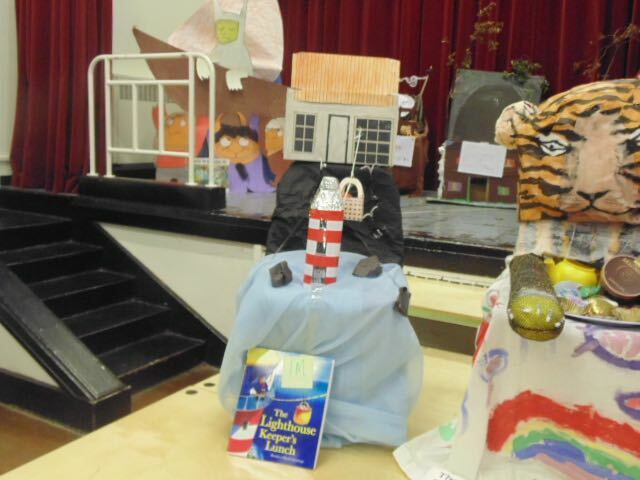 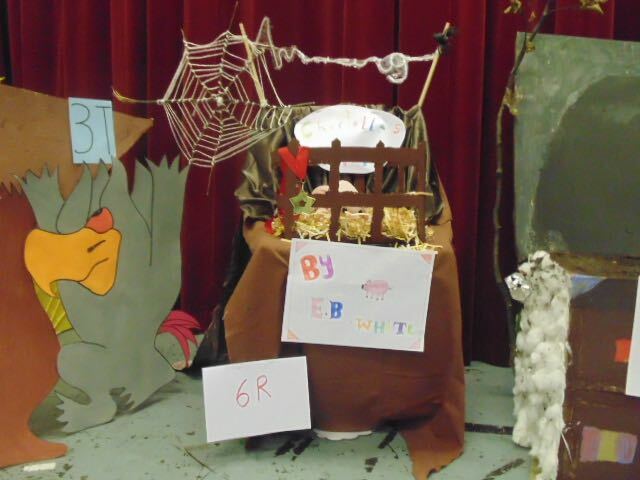 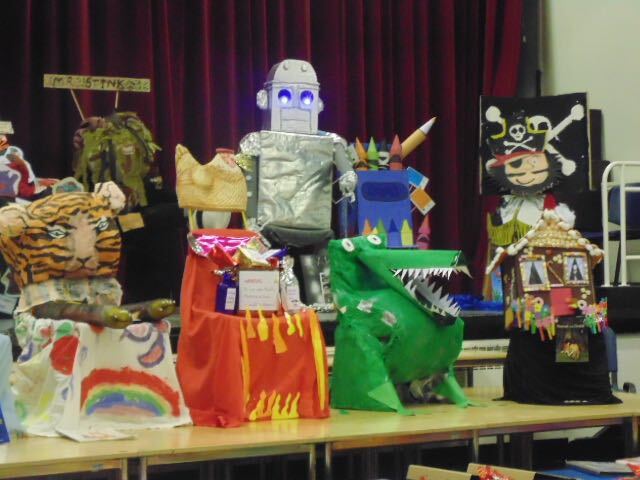 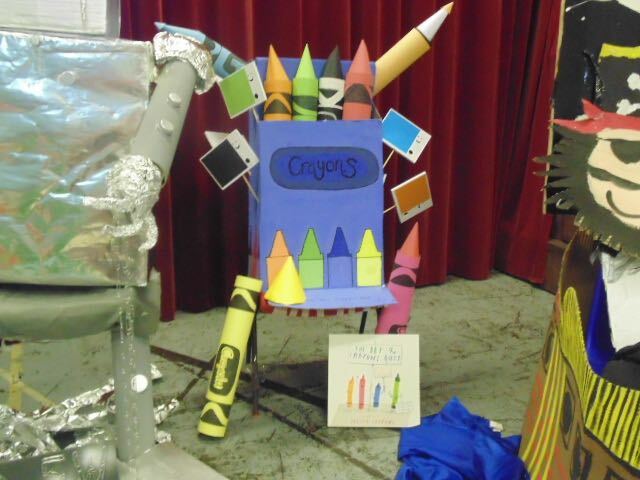 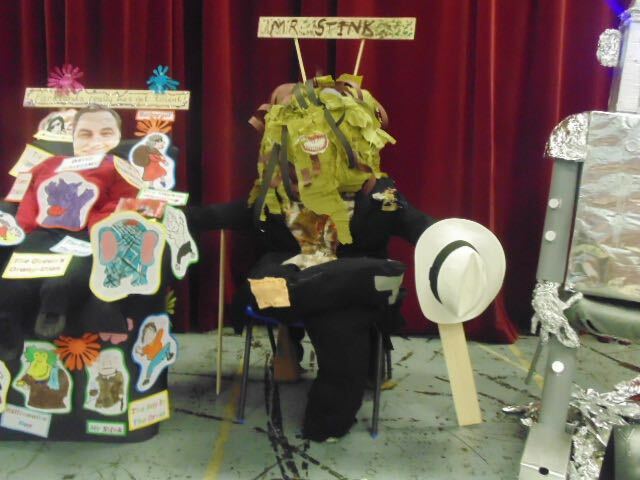 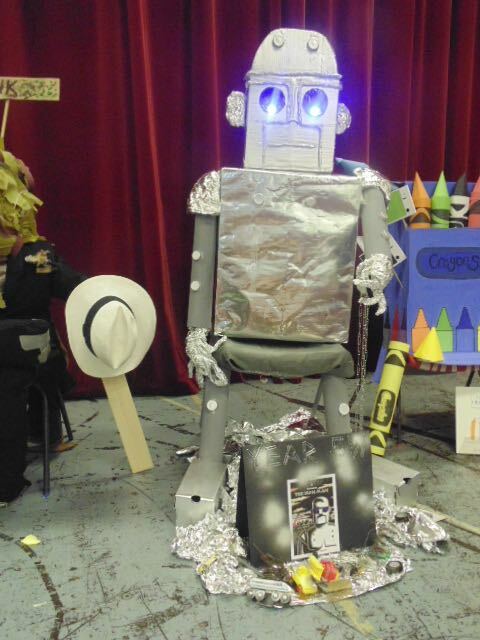 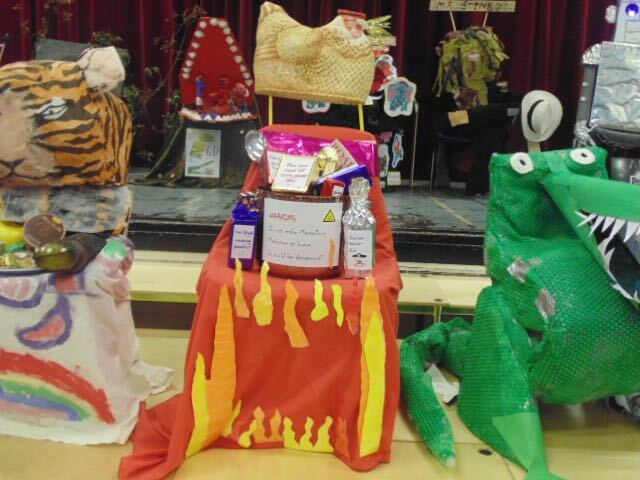 During book week every class was set the challenge to decorate a chair based on a favourite class book. 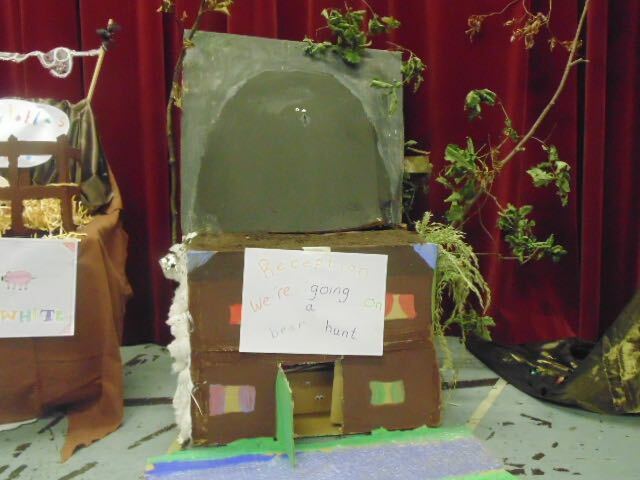 We were absolutely blown away with what the children produced. 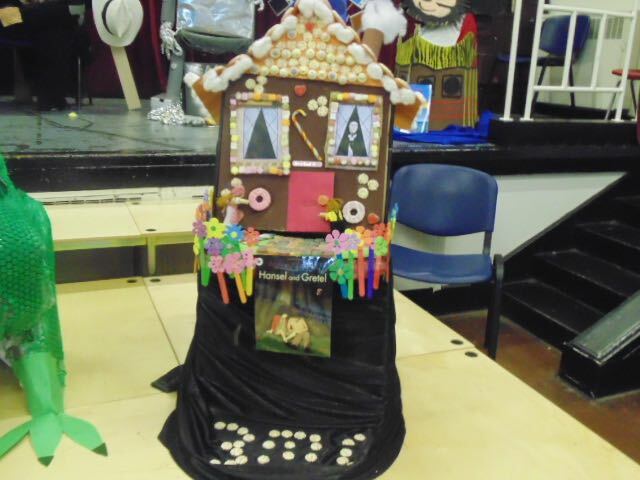 It ranged from Iron Man, to the witches cottage in Hansel and Gretel (with real sweets! 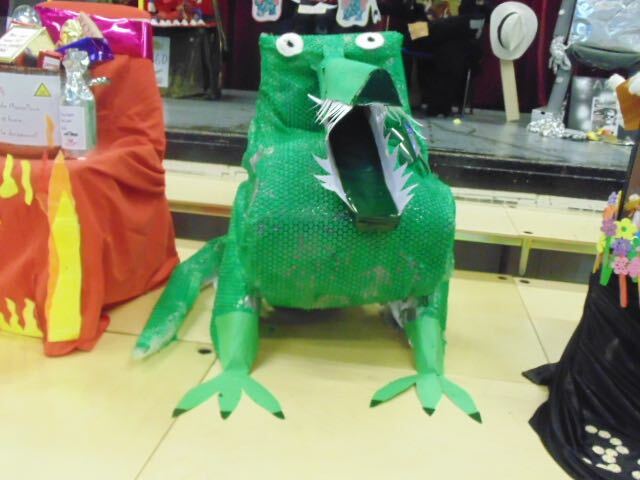 ), to Mr Stick, to the Enormous Crocodile! 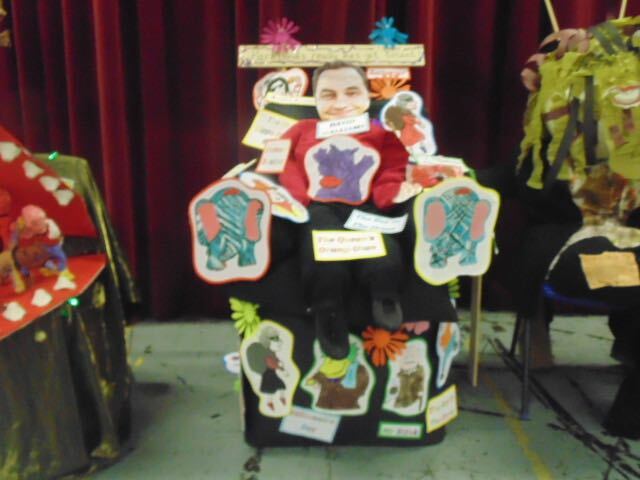 We will be putting our wonderful chairs on display around school to enjoy for a long time to come! 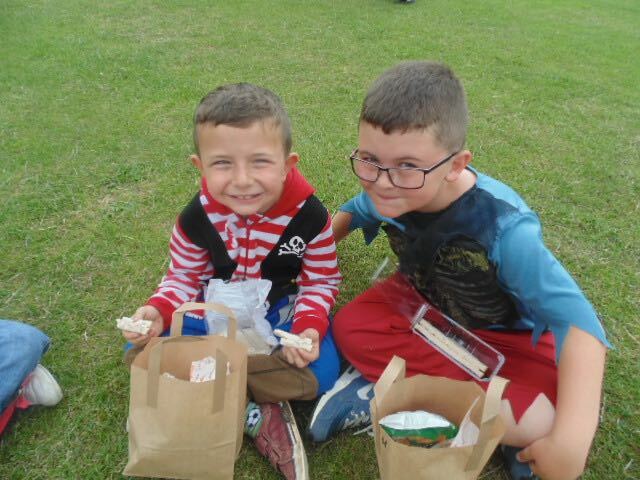 Well done to our competition winners! 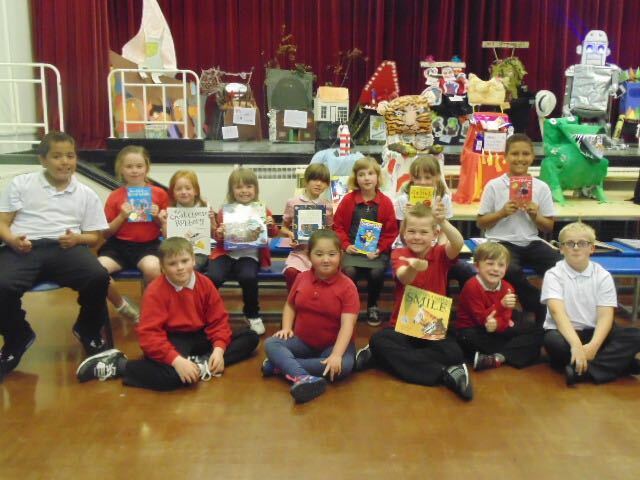 Each of them won a book from the travelling book fair because of all of the hard work and effort they put into book week. 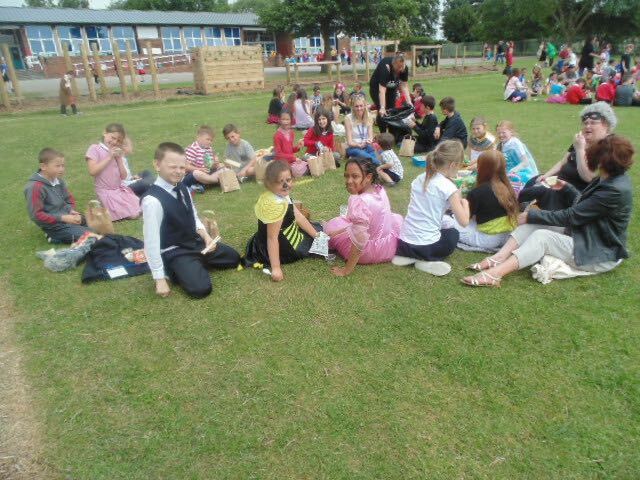 Well done each and every one of you!